With Remembrance Sunday yesterday and Remembrance Day approaching on Wednesday, I am reminded of a project I completed a short time ago in Somerset. I was asked to research the historic and architectural significance of a row of 15th century cottages in the small village of Mells, but along side this, I was asked to research a number of links to the village with one of the countries greatest architects, Sir Edwin Lutyens. Firstly, my research involved delving into the story of the medieval cottages in New Street, believed to have been built by John Selwood, Abbot of Glastonbury between 1456 and 1493. Today, they are recognised as the first example of what we know as town planning. The history of Mells is also believed to have been the inspiration for the famous nursery rhyme ‘Little Jack Horner’! 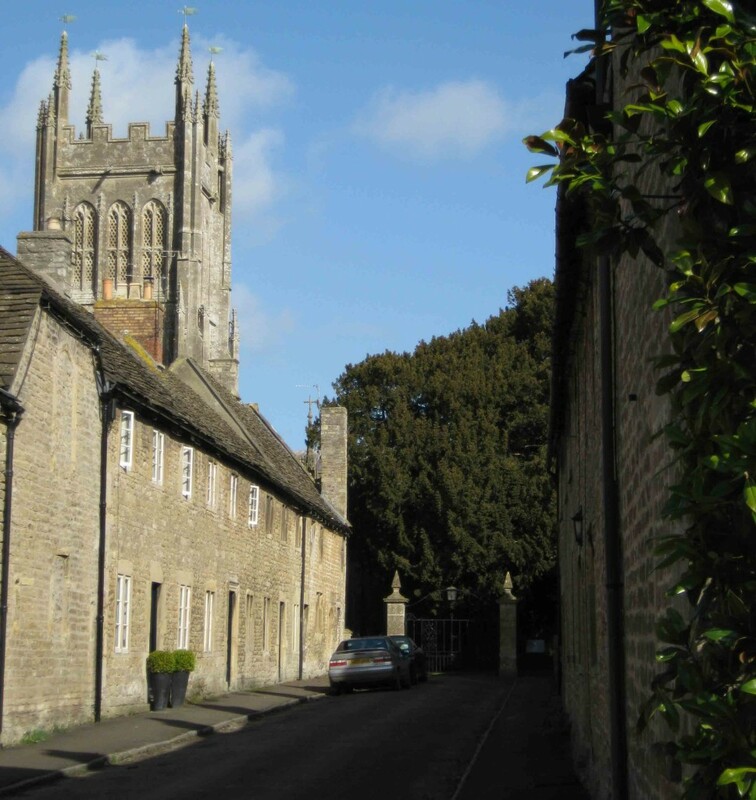 In 1543 the manor of Mells was acquired by Thomas Horner, but it is at this point that the old tale becomes mixed with the truth and apparently John ‘Jack’ Horner stole the deeds to the manor – from a pie! The deeds had supposedly been hidden in the pie and sent from the Abbot of Glastonbury to Henry VIII. This rumour led to the story that it was the inspiration for the nursery rhyme ‘Little Jack Horner’, who put in his thumb, and pulled out a plum. Although a good story, it is without foundation as the document recording the purchase of the manor by Thomas (not John) Horner is still retained in the manorial records of Mells. However, along with the early history in Mells, my research also involved the historic links with Mells Manor during the early 20th century. By the turn of the 20th century, Mells manor had passed to Sir John Francis Horner with his wife Lady Frances Horner. Prior to this, the family had been living in the Georgian ‘Mells Park House’ but in around 1900 Sir John and Lady Horner moved back to the old manor house and set about restoring it back into a family home. Lady Frances decided to engage her good friend Edwin Lutyens to undertake the alterations. Lutyens added a Loggia with Tuscan columns and an outdoor sleeping area, as well as updating the interior of the 16th century manor house (where Charles I had stayed in 1644) with new bathrooms and kitchens, along with heating and electric light. 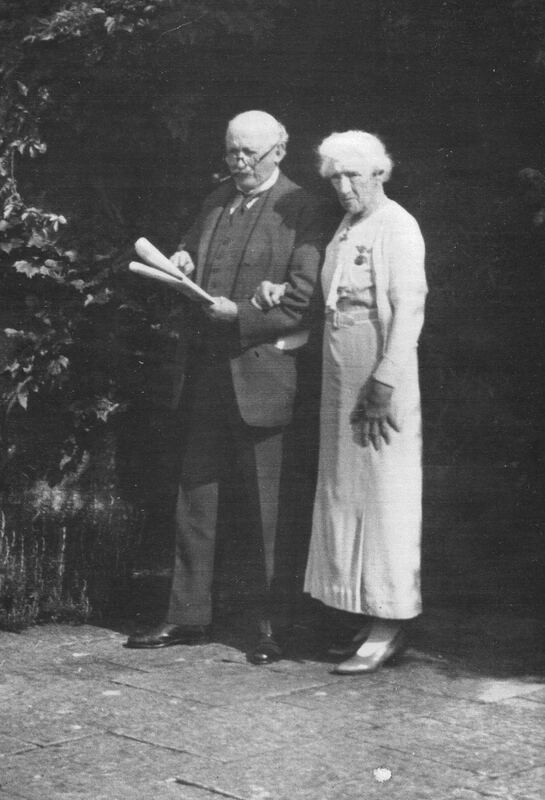 Amongst the surroundings of a newly updated manor house and the improvements to the gardens, Sir John and Lady Horner welcomed many family and friends to Mells at this time. Lady Horner was particularly known for her hospitality and with her connections to the artistic world, plus the family links to notable families of the age, Mells Manor is often highlighted as one of the country houses representing the golden Edwardian age before the horrors of the First World War. This is particularly poignant as Lady Francis Horner wrote of that time at Mells ‘…as if the sun always shone’, which contrasts sadly with the great loss they suffered in the First World War. 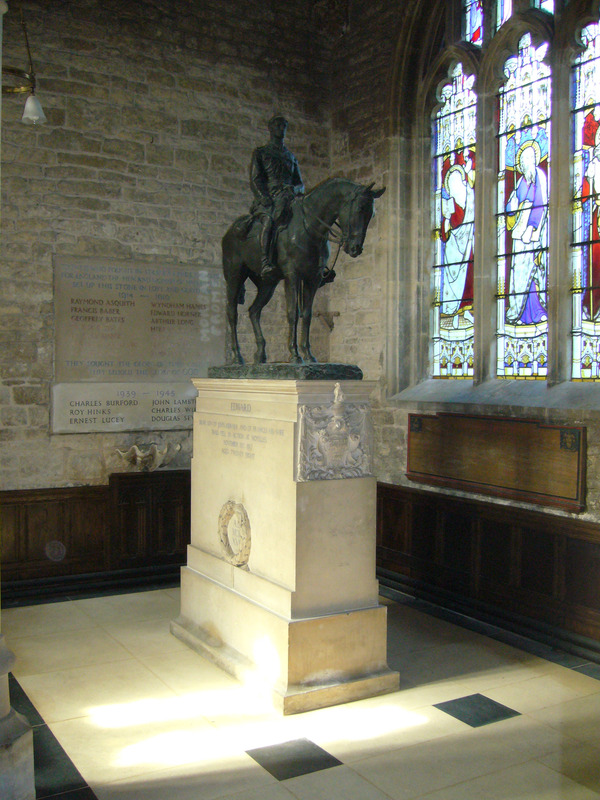 The designs of Sir Edwin Lutyens feature across Mells, and this is particularly noted in the war memorials in the parish church, St Andrews. In 1916, Lutyens completed a bronze wreath (with lettering by Eric Gill) to Raymond Asquith, eldest son of Prime Minister, Herbert Asquith (and husband to Katharine Horner, daughter of Sir John and Lady Horner) who died fighting in September 1916 at the beginning of the Somme offensive. 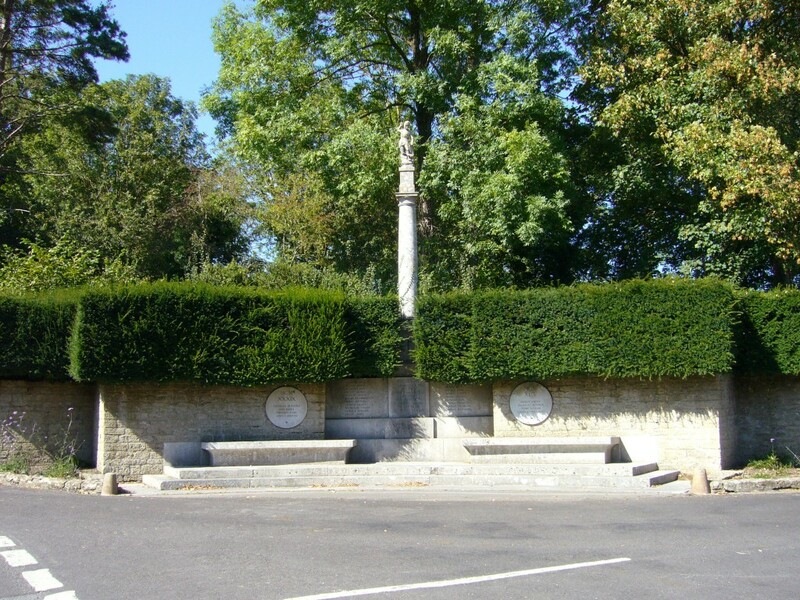 Sadly, the following year Lutyens was asked to complete another memorial, this time to Edward Horner, son of Sir John and Lady Horner, who died during the Battle of Cambrai in 1917. Lutyens completed the base of the memorial, which was then topped with an equestrian statue of Edward Horner by Alfred Munnings. Significantly, the base by Lutyens much resembles his most famous war memorial, The Cenotaph in London, appearing as a miniature version of the world-famous landmark in Whitehall. The names of the fallen soldiers were then inscribed on panels to the side. Additional plaques were added in 1945 for those lost during the Second World War.